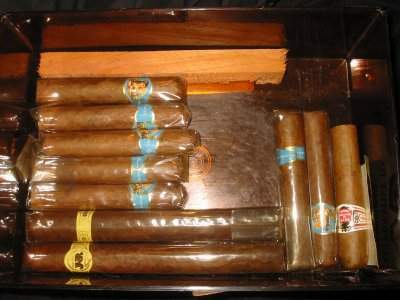 I do love smoking my cigars for you and providing this site, but it does cost money and also the cigars are pricey too. I put a lot of time and effort into maintaining this site and taking great photos for you. Now, here are various opportunities for you to help contribute to my website and my smoking of fine cigars. You will get a nice public thanks on my cigar blog (if you like), plus you will gain access to the members only section of my site which contains uncensored cigar pictures and videos and other fetish photos. If there seems to be enough of an interest, I will be adding a LOT more pictures and videos to the site! $5.00 (USD) or more will get you access to the members' section for 1 month. $20.00 (USD) or more will give access for 6 months. When you get to the donation page, you will see some new options! One is the SK Photo Shoots campaign. Now, for every $100 that is donated within a one month period, there will be a guaranteed new photo shoot, video, AND live smoking video web chat! Check out my blog for more information and schedules. The other is the "Send Khaos to Norwescon" campaign. You have probably seen some of the photo shoots from previous NWCs. They are all rather involved and include great props and backdrops! This year, if I am able to go, full length videos and live video chat will be added to the mix! And whether I go is up to YOU, my friends! Donations to both of these campaigns count equally in terms of member area access. You can also donate by making a gift to me of cigars or other items on my Wishlist. Of COURSE you will get access if you send gifts too!It just counts as a donation of whatever the gift's worth is. And, of course, gifts are much more personal than just forking over some money, because I can look at whatever it is and remember the person who gave it to me every time I use it. For my special fans who go above and beyond to contribute to my smoking habit and this site, those of you who continually send me gifts and such, way more than just the minimum for membership... Since it is obvious that you are not just trying to buy access, but are actively supporting the smoking fetsih and my contributions and participation in it, as a special Thank you and something you can use to show off your dedication to the smoking fetish community, you can have your own SmokeyKisses.com email address. You can choose between a webmail account here on the site, or, if you don't want to have one more email address to check, all mail to your SmokeyKisses.com address can simply be directed to your existing email account. And remember, if you see someone (besides me, of course LOL) posting with a SmokeyKisses.com email addy, it means they have helped to provide you with the viewing pleasures found on this site, so why not drop them an email to say thanks! ?